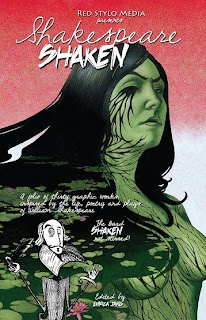 Comics Experience Blog: Shakespeare Shaken Anthology Features FOUR Comics Experience Alums! Shakespeare Shaken Anthology Features FOUR Comics Experience Alums! 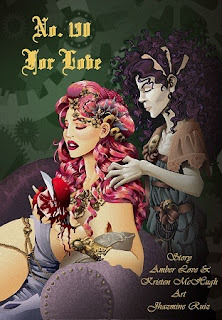 Shakespeare Shaken, published by Red Stylo Media, is a comic anthology of original graphic works (including short comic stories, short series and vignettes) inspired by the plays, poetry and life of William Shakespeare. The full-color trade paperback contains over 200 pages and features work from over thirty comic artists and writers, including four Comics Experience alums -- Amber Love, Rich Douek, Shaun Noel, and Marta Tanrikulu! Each contributor was challenged to take a favorite character or setting from Shakespeare's revered plays or poetry, shake 'em up, and create new works. No. 130: For Love, story by Amber Love and Kristen McHugh, art by Jhazmine Ruiz, tells a tragic tale inspired by Shakespeare's Sonnet 130 of a man given the chance to be consort to a goddess if only he will agree to renounce his mortal mate. 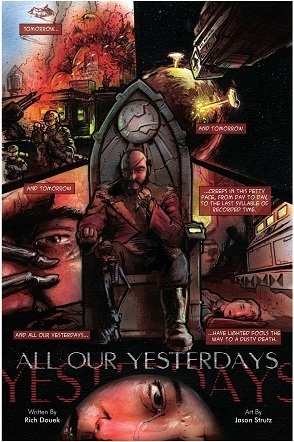 In All Our Yesterdays, story by Richard Douek, with art by Jason Strutz, the Star Emperor of Man, Mac Bethad, is on the verge of losing his life and empire to rebel forces when his ship's console is inhabited by sentient artificial intelligence and offers a final solution. In The Play Is the Thing, by Shaun Noel, with art by Andre Frattino, it's the Sonnets versus the Globes for the Championship, in an all-ages basketball mash-up of characters and plot-twists from William Shakespeare's most famous plays. In Falstaff’s Arena, by Marta Tanrikulu, art by Michael Reisner, the story continues the tradition of Shakespeare and men in tights, borrowing characters from "Henry IV," tumbled together with Mexican wrestling. All of the stories are available in a collected trade paperback in print as well as individual digital downloads available at RedStylo.com and other online venues. You can see a complete list of places to purchase right here. Congrats to Amber, Rich, Shaun, and Marta and all the contributors to Shakespeare Shaken!